Established in 1776, Forehoe was one of the Norfolk Incorporations formed by Local Acts of Parliament in the latter half of the eighteenth century. The Act (16 Geo. 3. c9. 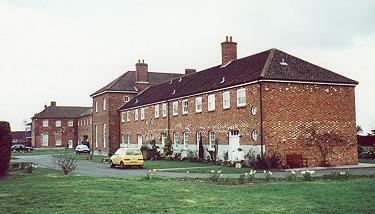 For the better Relief and Employment of the Poor within the Hundred of Forehoe, in the County of Norfolk ) established a board of 24 directors the powers to set up a workhouse which was to have separate accommodation for the aged, children, the able-bodied, and lunatics, together with an infirmary. The poor were to be let out of the workhouse at harvest time. The poor outside the workhouse could also be given relief. The Forehoe Hundred Incorporation erected a workhouse in 1776-7 at Wicklewood. The £11,000 needed to finance the incorporation was raised by a tontine scheme in the form of 110 shares sold at £100 each. The annual interest on the capital was divided between the gradually decreasing number of surviving shareholders. County of Norfolk: Barford, Barnham Broom, Bawburgh, Bowthorpe, Brandon Parva, Carleton Forehoe, Colton, Costessey, Coston, Crownthorpe, Deopham, Easton, Hackford, Hingham, Kimberley, Marlingford, Morley St Botolph, Morley St Peter, Runhall, Welborne, Wicklewood, Wramplingham, Wymondham. The main workhouse building was a single long block which was extended at each end in the latter part of the nineteenth century. Maps show several other small buildings on the site. A T-shaped block to the south-west of the workhouse was probably an isolation hospital. The workhouse location and layout can be seen on the 1906 map below. Forehoe main building from the east, 2000. Forehoe main building from the west, 2000. In 1894, the British Medical Journal set up a "commission" to investigate conditions in provincial workhouses and their infirmaries. Following a visit to the Forehoe establishment, the commission's report was broadly favourable but included a number of criticisms and recommendations. It noted there were no indoor toilets anywhere in the workhouse. At night, inmates were provided with a commode in the middle of each ward. No running water was laid on to any part of the building. Any hot water required was obtained from a copper in the kitchen. There was a movable bath for the main workhouse, but baths were not used in the infirmary. The children's nursery was described as "a cheerless stone-paved room, destitute of comforts, not even a mat for the babes to crawl on." The report's two main recommendations were that earth closets be installed in suitable places all over the workhouse and that a proper nursery be provided for the infants. Further details are available in the full report. 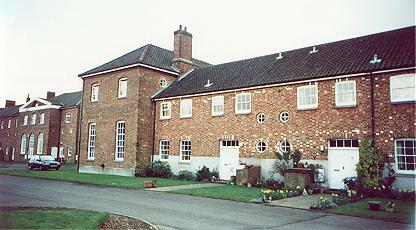 With the creation of the National Health Service in 1948, the former workhouse became Hill House Hospital. In 1951, it was renamed Wicklewood Hospital and provided care for about 50 geriatric patients until its closure in 1974. The building has now been converted to residential use. Norfolk Record Office, The Archive Centre, Martineau Lane, Norwich NR1 2DQ. Holdings include: Guardians' minute books (1780-1930); Admissions and discharges (1786-1934); Births (1786-1837, with gaps); Deaths (1777-81, 1786-1913); etc.